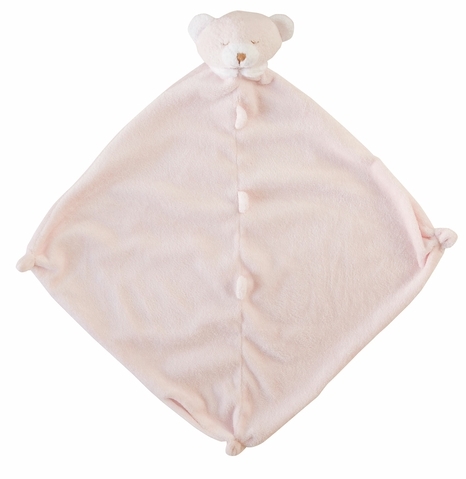 The Angel Dear™ Pink Bear blankie is made of a soft light pink velour plush fabric with white inner ears, tan nose and white trim. The face details are all embroidered in dark tan. 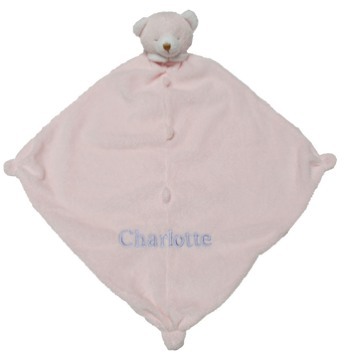 The animal head is stuffed with 100% polyester fiberfill. The blankie measures 14" x 14" . It is machine washable and dryable.